Digital badges are a simple way to improve student motivation. They are particularly useful for students with a specific career path in mind, because they can show future employers that a candidate has the skills necessary to succeed. The badges represent not just skills but interests and achievements that students have accomplished through their studies. 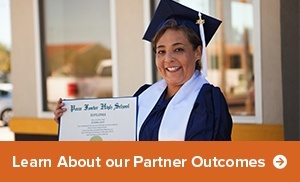 Even though badges are not issued directly by the schools students attend, these endorsements from the partner schools or programs signing the badges give students more clout. Badges contribute in a valuable way to their portfolios, making them stand out when applying for jobs. Many students and even graduates are now pursuing digital badges through the help of online courses, and more employers are acknowledging digital badges as proof of academic accomplishment. Students applying to a particular field will strive to earn more badges in that field and align their past accomplishments with the job market they hope to enter. Show your students how being able to showcase their badge achievements among peers encourages others to pursue badges as well. This is a positive form of competition, and students can help rally each other, learning how to get behind others' successes. There is a rewarding feeling that comes from seeing their names projected, alongside those of their peers, after studying hard together. In today's world of social networks, students can also share their badges with those who follow them online -- not only gaining more encouragement to pursue their careers but also giving your school more recognition by word of mouth. Some students try very hard to excel but don't always make the best grades. You can still give them a chance to earn badges for their behavior, and this is something they will be able to proudly show future employers. People are realizing more and more that success is not always about diplomas or grades but an individual's disposition, values, and approach to everyday life. If your badges can reflect your students' persona or behavior in a positive light, this will contribute to their long-term success. When offering this type of badge, focus on how it shows the development of a student's ability to deal successfully with real-life scenarios. Likewise, try to incorporate badges at different stages of learning, as opposed to just the end of the curriculum. 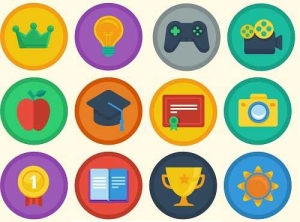 This way, students have the opportunity to earn badges for completing specific tasks or behaviors within a lesson, not just for completing the whole thing. By the time your students will have made it through the course, they will have had the chance to earn a few badges for a range of activities, and their hard work at learning can be better recognized. When incorporating digital badges into your teaching toolkits, make sure to keep the process fun. There is no one proper way to use badges in the classroom or online, so it is up to you to get your students excited about learning and attaining those badges. When implemented as a community effort, badges can be an effective yet surprisingly simple way to make learning enjoyable for students in high schools and career-focused colleges.